Tiles in building construction are thin plates or elements used to cover surfaces like roofs, floors, and walls. Types of tiles and their applications are discussed. Tiles in present scenario are a primary element in bringing building interior as well as exterior finishing and beauty. They are mainly made up of clay material or any form of inorganic raw material. Nowadays tiles are also manufactured from recycled materials, making the element eco-friendlier. The shape of the tiles is obtained by the different processes like extrusion or pressing at room temperature or any other method. After the shaping, they are allowed to dry. These dried elements are subjected to fire. This stage of firing is to ensure that they gain the required properties, that they are meant to acquire when they are in the market and in the building application. Different types of tiles used in building construction are available in glazed or unglazed form. They are incombustible in its nature. Tiles are unaffected under the light. There is a different type of tiles used in building construction which are unique to the type of surface where it must be applied. The roofing tiles are earthenware that is baked products. Its manufacture is similar to that of brick. The wall tiles as well as the floor tiles, are employed in the interior as well as the exterior of the building. This is mainly employed based on the requirement of decoration or aesthetics. These belong to the class of ceramics and are called as white wares. Tiles that are used on walls and floor are available in both glazed and in the unglazed forms. Mostly the wall tiles are glazed by a thin layer of glazing when it is available in the market. 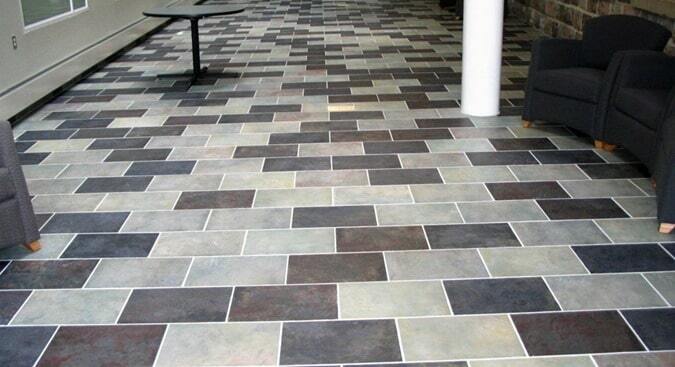 Floor tiles are too designed to bring the beauty of flooring and movement. But it is subjected to higher load, pressure and other undesirable material action. So, these tiles are made more durable, abrasion resistant, water impervious and easy clean form. Floor tiles along with the mentioned properties should also provide good aesthetics. The degree of burning is the parameter that differentiates the wall and the floor tiles. When compared to floor tiles, the wall tiles burned at a lower temperature. After this, it is glazed and re-fired at a lower temperature. Ceramic tiles are used for the interior floors, swimming pools, exterior floors, walls and for special installation both in interior and exterior cases. Most types of tiles come under the category of ceramic tiles. They are made from a mixture of clay and other materials. They are fired in a kiln. The earthenware tiles are made of clay while the stoneware tiles have a large quantity of silica that is present in the form of sand, crushed stoneware etc. Silica in the stoneware tiles are added to prevent the shrinkage when the fixing process is carried out. 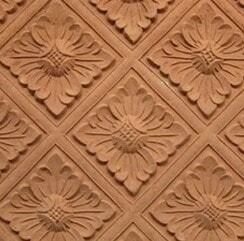 Terracotta tiles are manufactured by the use of high-grade fired clay. When the firing is done twice unlike the case of terracotta tiles, we obtain the faience. Faience initially is subjected to fire, that is initially terracotta. After glazing the terracotta tiles, it is again fired. This will finally give Faience. 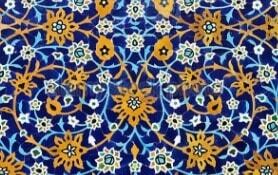 The Faience is available in large variety of color change. This would help for improving the terracotta works. Glazed and vitrified tiles ceramic are developed presently. The glazed tiles were only used for walls, at initial stages. Glazed ceramic tiles are mainly manufactured by two processes. Step 1: With the help of special white clay that is fired at a temperature of 1200 degree Celsius, the body of the tiles are made. These final elements are called biscuits. Step 2: The biscuits are accompanied by glazing and decorations if any, and are fired in the oven. The colored enamels are also of different types. For different types of floor and different abrasion due to traffic, the glazing techniques can be improved. Vitrified ceramic tiles are tiles that are made from clay materials plus other finely ground materials. These are subjected to a higher temperature firing. Fully vitrified tiles are those tiles whose whole thickness are also vitrified. 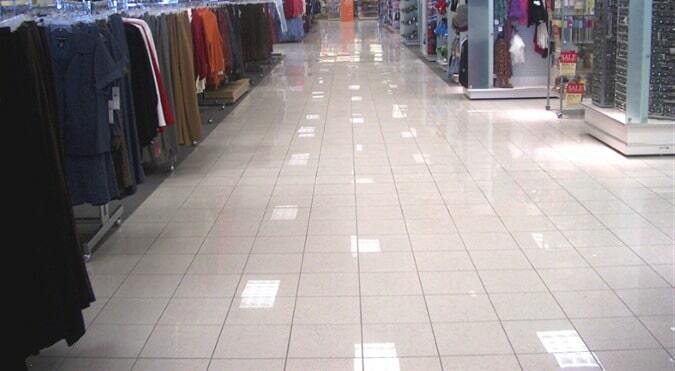 Vitrified ceramic tiles have higher abrasion resistance and can be employed in the areas of heavy traffic. These tiles are said to hard as granite. These are polished with the help of carbide or diamond abrasive tools. 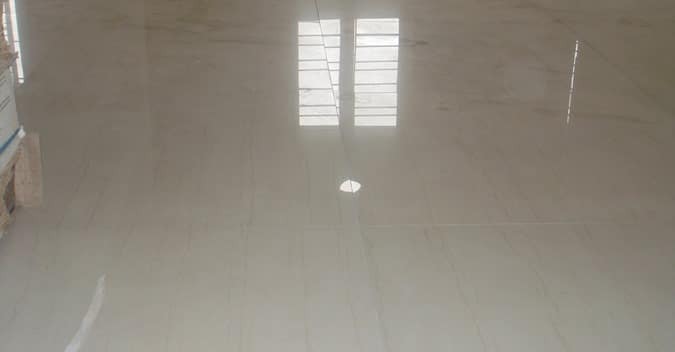 When compared to vitrified tiles, the glazed tiles are not long lasting. The manufacture, absorbing capacity and the breaking strength of porcelain tiles differ from the ceramic tiles. The porcelain tiles are also made from clay. But compared with the ceramic tiles, they make use of heavy or denser clay. Porcelain tiles during manufacture are subjected to heavy temperature for a longer time. This baking is carried out until all the water present in the element is evaporated. This unique method of manufacture makes these tiles harder and denser compared to ceramic tiles. This is the reason why porcelain tile is regarded as a superior product when factors of durability, design, color and value factors are considered. Porcelain tiles are highly impervious to water. It has a water absorption rate lesser than 0.5%. The cost of porcelain tiles is higher when compared to the ceramic tiles. The porcelain tiles gain more application in surface areas that have high traffic. These tiles are a type of vitrified tiles. It is sometimes referred to as porcelain vitrified tiles. The porcelain tiles demand special cement for their installation. These tiles are harder and denser compared to ceramic tiles. So, when these tiles are used for wall surfaces, the cement that has high adhesive property are used. The porcelain tiles that are polished are also available in the market. After firing of the tiles, they can be polished. This would bring a shine in the tile, without any glazing.